Termite Barrier warranties for new or old homes are not always set in concrete, Most warranties will be based on the entry point ” How did the Termite Enter the property? , who’s at fault!. At The Pest Company Brisbane we will guide you along the right direction and provide all limitations and warranties available to you, giving you peace of mind. Any property can be managed from termite attack. The Pest Company has been in operation for over 17 years, so rest assure that we have been through in depth training and have the experience to protect properties from Termites. We continue our education in Termite Management to ensure we don’t have any ongoing infestations in homes we protect. 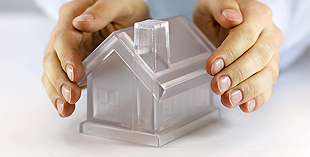 Our Customer Service and Termite Management experience will ensure a safe property from Termites. Timber replacement warranties are available subject to a termite management system being installed at the property, please call our technician for further information on $100,000.00 timber replacement insurance. When a complete termite management system has been installed, like a Termite barrier, termite treated zone or a Exterra Interception and Baiting system or a physical barrier then chances are a warranty can be provided. The Pest Company are also accredited Timber Pest Inspectors for the Kordon Termite Barrier system extended warranty. program. Call us on 1300 55 22 34 or 0402 028 043 to arrange a time that suits you.